Do You Have Storm Damage ? NAYLOR3 ROOFING & CONSTRUCTION offers high quality residential and commercial gutter systems. A proper gutter system is important to every building, and It’s critical that they function properly. Water can cause major damage to a Home or Business. Gutters will protect the foundation, siding, doors, windows, roof, fascia, soffits, and decorative landscaping from damage and deterioration. It also helps to prevent stained walls, mold/mildew, and insect infestation by controlling and allowing proper water drainage.. 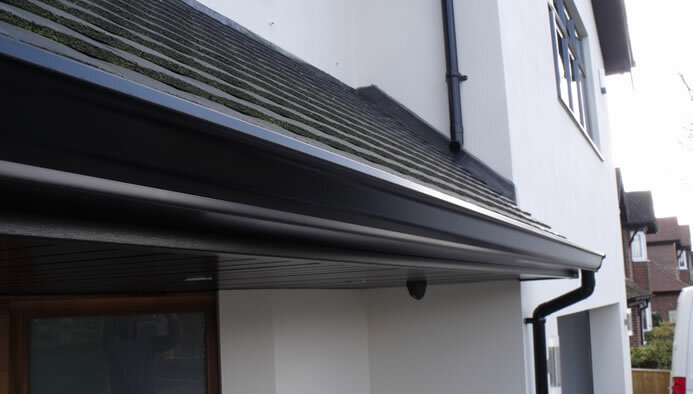 Your new gutter system will not only enhance the appearance of the home, but also provide the optimal water drainage solution for your home. Traditional gutter systems require huge amounts of maintenance.they are spliced & sealed using gutter sealant. The sealant breaks down overtime and will need to be replaced or leaks will occur. The hassle of keeping your gutters clean and functioning properly can be a very timely, costly and dangerous process. Our Leak-Free seamless gutters systems are custom made specifically for your home. Copyright © 2015 Naylor3 Roofing & Constructions. All rights reserved.